As an online sales copywriter, I spend a lot of time each day researching background information and reviews on all kinds of products. Recently I’ve been taking another look at baby monitors. Easy eh? You would think that the big names in the industry like Samsung, Tomy, BT and Motorola would have a vast range of superb monitors to choose from. Surprisingly, that’s not what I found. There are hundreds of different types of baby monitor on the market. These range from cheap audio monitors, right up to really expensive, high definition video systems. It’s incredible to find out that, no matter how much you spend, many baby monitors have poor reliability and basic design flaws. Some of the most reliable baby monitor systems are simple, audio only, parent and baby units. Why is this the case? My guess is that there’s simply less to go wrong with a basic, audio system. If you’re looking online for the best value baby monitor, I’d recommend a simple audio monitor as the best option. If you do prefer to see that baby is snoozing safely in the nursery, you’re going to have a tough time trawling through the hundreds of video baby monitors currently on sale. Two of the most popular brands for online baby monitor sales are Motorola and Summer Infant. Generally, many of the video monitors in their respective product ranges are well received by most buyers. I’ve selected two of the best, based on buyer feedback and reviews on sites like Amazon, Which Magazine and Mumsnet. I also went through the technical details of each product to check things like battery life and range. You’ll notice that there are no WiFi baby monitors in my list. What some buyers don’t realise is that many WiFi cameras feed their video and audio content to external servers. As we have no idea where these servers are located, or who operates them, I personally don’t feel 100% confident about their reliability, privacy or security. All of the baby monitors that I recommend below have been chosen for their simplicity, reliability and security. Oh … and excellent value for money too! Without the added complexity of a video screen, this simple Philips ‘Avent DECT’ Baby Audio Monitor System is easy to set up and use. A portable, battery operated ‘parent’ unit can be carried with you around the home. The system is sensitive enough to pick up every sound from baby. Along with the sounds of baby’s movement and breathing, the parent monitor also displays the nursery temperature on a basic LCD screen. For comforting reassurance if your baby wakes, you have the option of a nightlight, five lullabies, or two-way conversation. Although a little pricey, many buyers find the Philips Avent DECT Baby Audio Monitor System to be highly reliable. Philips is a trusted manufacturer with a reputation for quality. Great sound and video quality, along with easy setup, make this one of the most popular video baby monitors currently on sale. The Motorola brand is often placed high in ‘Top 10’ style baby monitor reviews. The Motorola MBP36S Digital Video Baby Monitor comes with all of the popular features. These include superb infra-red night vision, a bright, 3.5 inch colour video screen, lullabies and a two-way baby talk facility. Nursery temperature is also displayed on the parent unit. This baby monitor system offers excellent remote control of camera pan, tilt and zoom. With a very affordable price tag, many buyers appreciate the quality and reliability of this Motorola video baby monitor. The parent unit will also display optional extra cameras in a special ‘split screen’ mode. Click here to read genuine buyer reviews (Amazon). If you’re expecting a Summer baby in 2019, how about this temperature display ‘Summer Infant’ baby monitor? With simple, easy to use design, this digital baby camera kit gives a wide angle view of your nursery. A basic digital zoom feature allows you to take a closer look while baby sleeps or plays in the cot. A big, 5 inch (12.7cm) parent unit offers clear daytime viewing. Switch to black and white, Infra-Red mode for night-time operation. The monitor also displays the nursery temperature. This could be useful in hot summers or cold winters. As with most dedicated baby monitors, two-way talk with baby is a basic feature. The Summer Infant baby monitor comes with a very clear troubleshooting checklist. Most buyers seem to be very happy with their purchase. Naturally, the large LCD screen on the portable parent unit will drain the rechargeable battery quite quickly. With a little forward planning this shouldn’t be a big problem. Click here to check out the BIG LCD SCREEN on this wide-angle baby monitor (Amazon). Plug & Go mains powered – no wires! Here’s a really simple, audio only monitor from Motorola. The great thing about this MBP8 model is the price. The Motorola MBP8 Audio Only Baby Monitor retails at less than £30! This is probably one of the cheapest baby monitors that you’ll find online. Most of the monitors in this price range have poor reliability, or other fundamental problems. With ‘Plug & Go’ wireless operation, you simply plug the master and baby units into the handiest wall sockets for battery-free audio baby monitoring! The Motorola MBP8 works exceptionally well to give a simple LED display of the sound level in the nursery. You can see when baby is crying – even with the volume turned down on the parent unit. Battery-free, mains operation means that the MBP8 baby monitor runs without attention 24/7. It’s also environmentally friendly! Click here to check out the latest Amazon price for a Motorola MBP8 Digital Audio Baby Monitor. 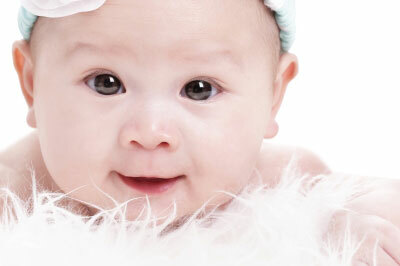 Thanks for reading my reviews and recommendations – more top quality baby products coming soon!